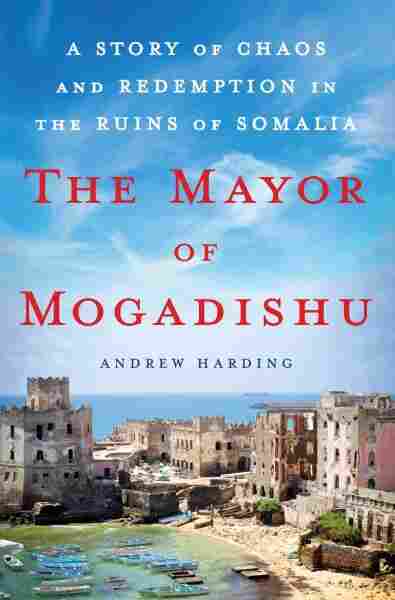 A Journalist Gets To Know The Controversial 'Mayor Of Mogadishu' : Goats and Soda BBC correspondent Andrew Harding was delighted by the ambiguities in the life of Mohamud Nur. He's the subject of Harding's new book. 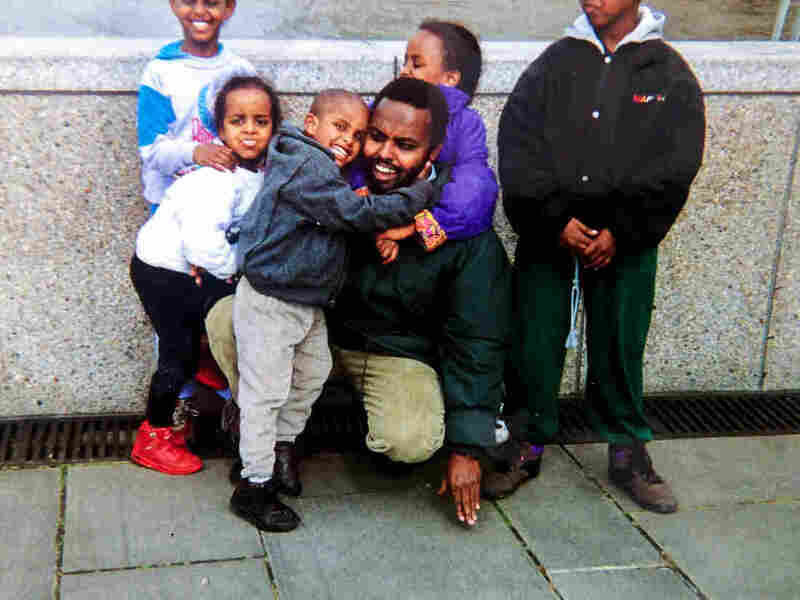 Mohamud Nur and his children spent years in London before he returned to Somalia. The above photo is from 1993. In 2000 Andrew Harding became sub-Saharan Africa correspondent for the BBC, based in Nairobi. Soon he was making regular trips to one of the most perilous corners of the continent: Somalia. Wracked by war, famine and clan-based strife since the early 1990s, the country would soon be assailed by a new menace: Al Shabab, a radical Islamist terrorist group. Harding is now based in Johannesburg, where he works part-time for the BBC. This interview has been edited for length and clarity. You're one of a handful of Western correspondents who've been in and out of Somalia on a regular basis for the past decade. At what point did you consider writing a book about it? I always thought about this access that I had as being something special and that it might be the source of a book. But when I started to get to know Tarzan, I realized that there was a much better book to be done than an account of my 15 years covering Somalia. Tarzan's story took over the project. What was it about him that appealed to you? He was this larger-than-life character, and drama seemed to gather around him. He speaks English and he has a Western veneer, which makes him talk in very accessible style. He said "yes" to the project without preconditions, and I knew almost immediately that he meant it. He was a man unafraid of speaking to journalists, unafraid of speaking the truth. I realized here is a guy whom I could dig into and I would not be facing death threats, or legal threats. 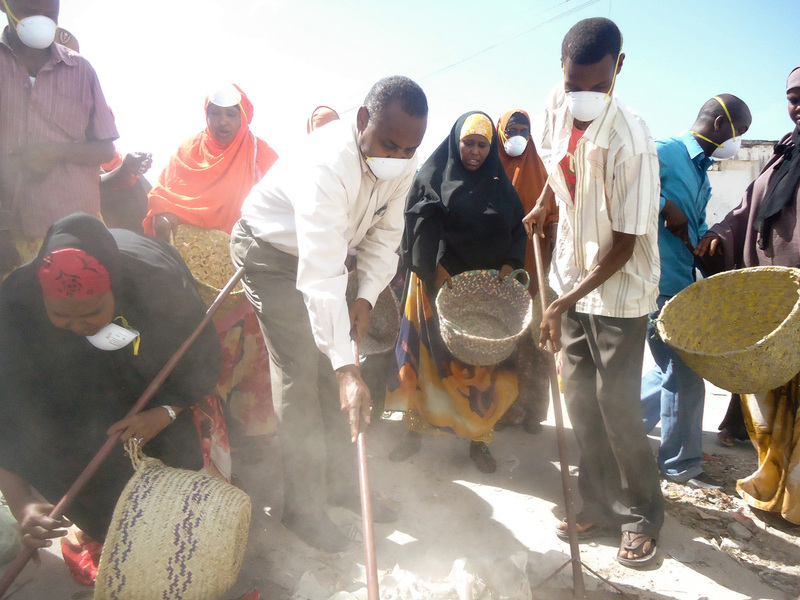 Mohamud Nur clears garbage in Mogadishu in 2015. You rapidly establish Tarzan as somebody who plays fast-and-loose with his own biography, and later on suggest that as Mogadishu's mayor, he was quite corrupt. Did this tarnish the experience of writing about him? Frankly, as somebody trying to write a book rather than an article, I was delighted by his ambiguities, delighted when I realized that there were big question marks about his life. A lot of Somalis have said, "Why have you written about that scumbag?" I don't think he is a scumbag. I would much rather write about someone with murky areas and complexities, particularly when I'm trying to write about a country as murky and complex as Somalia. I didn't want a pure hero. What did Nur do to restore confidence? He became this catalytic figure — an enabler — someone who could cut through the bureaucracy and the corruption. And foreign governments like Britain could see that. So it was the mayor's office that oversaw the erection of solar powered street lights — which transformed the city. And clearing the accumulated rubbish of 20 years, too. Most journalistic accounts of Somalia focus on the post-1991 apocalypse, but you present a detailed portrait of the country during its peaceful, Italian-inflected heyday in the 1960s and 1970s. What drew you to that period? I was infinitely more interested in the extraordinary past of Somalia than in the stuff that I already had already reported on a lot. When one digs into the past and understands how optimistic and successful [Somalia] was in the 1960s and 1970s, one starts to care about the place. How difficult was it to report this book in Somalia? What's been interesting is the way that one discovers how to operate, to report, to survive in Mogadishu. On the streets, you have to work incredibly fast. You keep your movements unpredictable, never stay on the streets for more than a few minutes, listen closely to your security and not spend too much time with people who are likely to be targets. I spent very little time under Tarzan's protection — a few evenings, a few trips around town when he was mayor. Tarzan was a target, and to travel around with him was dangerous. Once I went with Tarzan to settle a dispute with some soldiers who had set up an illegal checkpoint on the edge of town. On the way back, we split from the mayor's convoy, and minutes later, his convoy was hit by a roadside bomb. The soldiers at the rear of the convoy were killed. When you're in an armored car the sound outside is muffled, so we didn't hear about it until we got back to our base. Mogadishu is still a dangerous, highly unstable place. What did Tarzan manage to accomplish during his time as Mayor? His legacy still depends on what happens in the next few years. If Somalia continues with its uneven progress, I think that he's the guy who set the scene for the return of the diaspora, for the possibility of proper government in Mogadishu and an end to anarchy. But if it collapses again his achievements will mean very little. What was his reaction to the book? I don't think he has yet finished reading it. He's not a reader, nor is his wife. I know some passages moved him intensely — particularly the stuff about his childhood — and his children told me that they discovered so much more about their father. They had no idea their parents had, more or less, eloped. I know there will be elements that he's unhappy with, but as a politician he will take the fact that he's had a book written about him as plus. He is one of about a dozen candidates for the presidency of Somalia, though his chances are very slim. I think he acknowledges it. By all accounts, this is very corrupt process and he doesn't have money behind him.